Caltech is recognized for its highly select student body of 948 undergraduates and 1,285 graduate students, and for its outstanding faculty. Since 1923, Caltech faculty and alumni have garnered 39 Nobel Prizes and seven Crafoord Prizes. In addition to its prestigious on-campus research programs, Caltech operates the Jet Propulsion Laboratory (JPL), the W. M. Keck Observatory in Mauna Kea, the Palomar Observatory, and the Laser Interferometer Gravitational-Wave Observatory (LIGO). 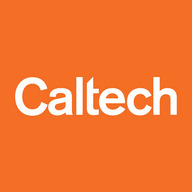 Caltech is a private university in Pasadena, California. For more information, visit http://www.caltech.edu.